In factories, warehouses, restaurants and showrooms throughout Victoria, our epoxy floor coating is the surface business owners choose for its safety benefits, and functional reliability. Providing a smooth, non-slip surface, this moisture-resistant floor coating is a safe and hygienic alternative. 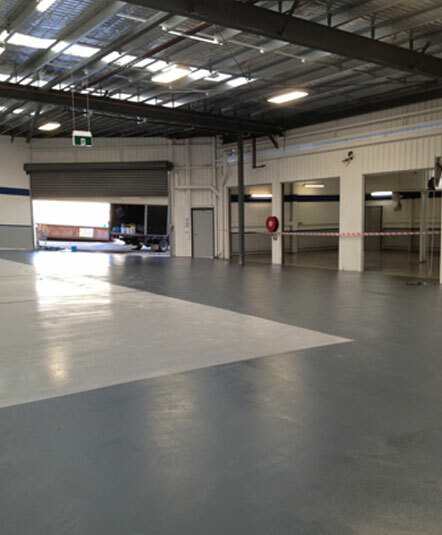 With epoxy flooring Oakleigh locals can experience the positive aspects of concrete flooring, without the downsides. Epoxy coating effectively seals concrete floors to prevent staining and water damage, while also eliminating the dust of unsealed concrete. The tough, yet forgiving nature of an epoxy floor coating makes it the ideal choice for factories and warehouses where there may be heavy foot and vehicle traffic. Incorporating lines and markings into your epoxy floor coating will further enhance the safety and utility of any workplace, with colours that remain vibrant and clear, even in these high-traffic environments. The option to add tints and colours to polyurethane and epoxy floor coatings makes them an aesthetically pleasing alternative to high-end materials. Vinyl chip flooring provides a decorative finish and is available in a range of prepared colour blendes and can allow for custom blends as well. No longer just an option for industrial sites, epoxy flooring is a practical and presentable option for restaurants, retail environments, and even the family home. The home garage is a part of the home that often gets overlooked, however with the high cost of repairing or replacing damaged concrete floors, prevention with a high-quality concrete coating remains the far better option. Scroll through our online gallery of past projects to see the transformation that is possible even on badly damaged concrete surfaces. When properly installed, garage floor epoxy coatings form a durable, hard-wearing surface that will resist oil and many chemical spills, keeping your garage floor in prime, pristine condition. 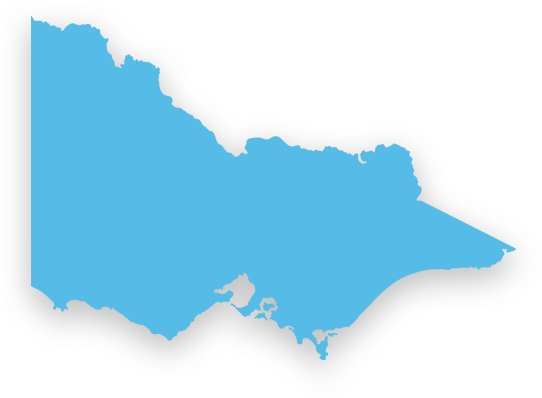 Looking for a team who can repair and restore your existing concrete, or apply brand new epoxy flooring ‘near me’? Oakleigh locals can call us on 03 9543 6888 for a free quote, or fill out the online enquiry form to have their questions answered by a member of our expert team.